Prepare for Trouble, and Make it Double, Puclonians! Last Friday marked the first day of Spring which makes for the perfect justification to write about a topic I have been saving for just such an occasion: weather! This will be the first entry of a three-week special all about weather, this installment focusing on Rain specifically. Before discussing Rain though, it is worthwhile to go over the merits of using weather in the VGC. Of all the play styles and team archetypes in competitive Pokémon, weather teams are the one category that, however strong they are in singles, are indisputably stronger in doubles. The fast paced nature of the format combined with having two Pokémon out at once lets you take advantage of your weather much more effectively. You can have your weather-summoner AND a weather-dependant sweeper or some other Pokémon that benefits from your chosen weather out at the same time instead of having to inelegantly bring your auto-weather Pokémon in and then manage to switch something else in a turn later. The quicker pace of VGC battles also means the reductions on how long a weather condition lasts in battle as of Gen VI is less problematic because a LOT of a battle can take place just by setting your weather condition up once. So even if you find it clumsy or gimmicky in singles, never underestimate the power of weather in the VGC, because the format makes it a much more potent force to be reckoned with and weather teams have proven, year after year, to be worthwhile, winning national titles across the world and top-cutting as well as outright winning the World Championships in over the years. Now onto Rain, itself. In many ways Rain is both the simplest weather condition to use as well as arguably the most powerful. Primarily revolving around Water types, it has what is quite indisputably the most boons for a single typing in a weather condition at once. Water types are the most common type of Pokémon automatically giving Rain a wider variety of Pokémon who will get their STAB moves boosted further by the weather itself. Water types also have extremely few weaknesses and effectively being the only type a weather boosts the power of AND the speed of simultaneously. Sun teams make their Fire attacks stronger, but only give the Speed boosts to their Grass types, whereas Sand has abilities that boost attack power OR speed but never both simultaneously, but Rain, for better or for worse, gets the best of both worlds on a single, already solid Type of Pokémon. With Thunder and Hurricane users being able to reliably blast away such powerful attacks with confidence, and Steel (arguably the most important Type to have on a team) and Grass Types losing their Fire weakness, Rain is also able to very easily diversify while still maximizing use of the weather condition. With so much in their favor, it is unsurprising that rain teams have won a LOT of tournaments over the years and see use and success at virtually every major VGC tournament there is, all the way up to the VGC World Championships. That being the case, whether you want to use one or not, at the very least you will inevitably come across plenty of opposing Rain teams playing the VGC, so knowing what they can feature is crucial. The most constant fixture on rain teams, is, of course, Politoed, thanks to making it rain automatically by virtue of its Hidden Ability, Drizzle. 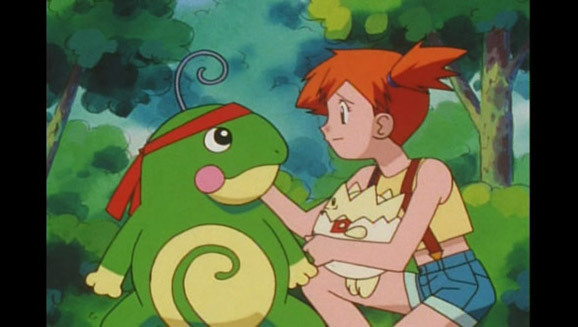 Seeing Politoed in team preview is virtually a guarantee that you are facing a Rain team, so knowing what it is able to accomplish is a great place to start. And Politoed is surprisingly versatile. It can swing extremely hyper-aggressive with a Choice Item, or be super supportive. Choice Scarf is especially popular for aggressive Politoed because of the immediate offensive pressure it can mount, especially if sent out alongside a Swift Swim Sweeper, giving the player two extremely fast attackers with power boosts from the Rain immediately. For support sets, Politoed has access to a plethora of tricks, many of them VGC support staples such as Encore, Icy Wind, and Helping Hand. Politoed also gets access to the ever-tricky Perish Song. The next effectively guaranteed slot to be seen on a Rain team is at least (and usually only) one Swift Swim Sweeper. The big three are Ludicolo, Kingdra, and now Mega Swampert. While most teams will normally only have room for one, carrying two out of the three is not unheard of. They all have their advantages and disadvantages. Ludicolo, the most popular of the three, gained a ton of usage last year in the VGC as one of the stand-out users of the Assault Vest item, offering solid support in or out of Rain with its Fake Out (fastest in the game in Rain) and combating opposing Rain teams thanks to its part-Grass Typing. Kingdra’s popularity has dropped in Gen VI, no doubt a consequence in part of the introduction of the Fairy Type, but Kingdra still holds a relevant niche out of the three as the only one with access to a Water type Spread move that doesn’t hit allies in Muddy Water (access to a Draco Meteor nuke never hurts, either). Mega Swampert, the newest addition to the trinity, has a lot to be said about it. 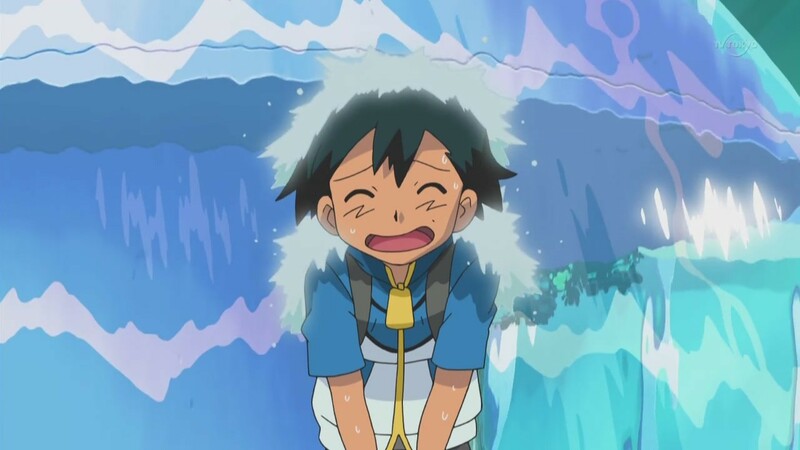 Being the only physical Swift Swimmer of the three, it is susceptible to Indimidates and Burns, but Mega Swampert also has fantastic coverage options between Earthquake and Rockslide in addition to the usual Water and Ice fanfare, and the flinch chances on Waterfall and Rockslide can be especially game changing on something likely to go first by virtue of Swift Swim. On the flip side, it consumes your Mega slot, and there are plenty of other powerful Mega Evolutions that like being on rain teams. Which is/are best for a team really depends on what other members there are. Also, all three are 4x weak to Freeze-Dry. Just going to throw that out there. Aside from Politoed and a Swift Swimmer, the rest of a Rain Team’s composition in the VGC is much more up for grabs. So there really is only space to generally go over the more common considerations. One of the more obvious being an Electric Type. With your Water types often lacking a way to blast through opposing water types (Ludicolo being the exception), tossing on an Electric type helps you get past opposing Bulky Water Types and obviously syngergizes well with Thunder being completely accurate in the Rain. Common choices include Thundurus (both forms), with one offering huge support via Prankster (a good back up Rain Dance monde) and the other having a monstrous Special Attack and the ability to eat any Electric attacks aimed at your own Water types, (Mega) Manetric offering Lightning Rod for redirection support prior to Mega Evolving and Intimidate support after, and Zapdos who sets itself apart with better bulk and Tailwind. It also makes sense that Rain teams would feature Pokémon with types that benefit from the reduction in Fire attacks in their chosen weather condition, such as Steel and Grass types. Given how prominent Steel is as a typing in the format currently, this is especially promising and synergistic. The last thing I will specify by name is Talonflame. In spite of being a Fire/Flying Type, many people would consider Talonflame a near-necessity on Rain Teams. Mainly because it eliminates some of the most effective checks to Rain such as Mega Venusaur and Amoonguss with high reliability. Especially because Rain effectively makes Mega Venusaur resistant to Fire, so having an effective answer to it like a priority Brave Bird becomes all the more valuable. Beyond those there are really far too many directions to go in to discuss them all: you can toss on Hurricane, there are various other abilities that exploit Rain to look into such as Hydration (paging Vaporeon) and Dry Skin, or you can go the Surf-spamming route with Water Absorb. Although committing to using Rain for a team may initially sound like you are pidgeon-holing your options, like with any team the most important thing is that you remain versatile. Whether your team uses weather or not, it needs answers to every relevant threat and playstyle. If you slap on Amoonguss and Mega Mawile for their type synergy with Rain, you now also have a solid pair of Pokémon to use if your opponent has a Trick Room team. If you slap them on your team alongside a Trick Room user, you are now using RainRoom and you can now opt to sweep with speed and power in Rain with Swift Swim, or throw off your opponent’s expectations by using Trick Room yourself to exploit as an alternative battle strategy (this is especially awesome in best-of-3 matches where you can change approaches between games). Prankster Thundurus can spread Paralysis if your speed control with Rain is not doing the job or provide an alternative check to Trick Room with Taunt, or Zapdos can set up Tailwind. The point is even while building around Rain, there are a plethora of ways to build a Rain Team to inherently have alternative options available to it. And there need to be those alternative options because there will inevitably be games where your opponent has too many answers to your Rain, or you cannot set it up, or Politoed is a really bad pick to bring. You do not want to have your team fail to do anything just because Rain is not a good option for a game. Now, in spite of the format changing every year, Rain has always managed to find very impressive success in the VGC year after year. It holds numerous victories and top cuts at the Regional, National, and World Championship level for a reason. Given its ubiquity in the VGC as a template that has proven successful, it is inevitable that EVERY competitive team prepares for it. Whether you are playing with Rain or looking to beat it, it is important to know at least the more common answers used against it. The first of which is actually extremely common in Rain itself: Ludicolo. With Swift Swim, you can use Ludicolo against a Rain team to outspeed it and hit its water types with super effective Grass attacks. And even on a team without Rain, Ludicolo can prove worth its weight with Fake Out support and impressive bulk between an Assault Vest and Giga Drain for recovery. Ludicolo’s popularity as a solid check against Rain is also part of why Talonflame is considered a must-have for many Rain teams. Another answer to Rain is using a different weather condition, but most prominently, Mega Charizard Y, one of the most popular and powerful Mega Evolutions in the VGC. Seeing as it is a Fire type, one may think Rain could outmaneuver and overpower it. But trying to do so IS quite literally playing with Fire. Mega Charizard Y has an inherent advantage against Politoed in that it can choose when to Mega Evolve to change the weather even after it comes onto the field whereas Politoed summons its Rain automatically from the start, and Solar Beam is standard on ‘Zard Y. A Modest Mega Charizard Y’s Solarbeam completely nails any offensive Politoed variant and has a dice roll against doing the same to even bulkier Politoed variants. Tread with extreme caution and have a solid answer against it. For some rain teams this would be precisely the type of match up where you want an alternative win condition available. And with that, I’m blasting off until again! See you next week PUCL! And remember, when it rains, it pours, but I’ll be back on sunnier days.